Second album by Mac Mavis. He released his first Mac Mavis album (Fresh Tracks) on Exogenic in 1998, and has released several tracks on various compilations, mostly on Exogenic Records. He was one of the first Finnish artists to make psychedelic techno in Finland in 1995-1996. First of all, I have to say that this is a chill out album. We are used to pretty crazy trance from Exogenic, but this time they take us to a more relaxed place. The first track sound pretty dramatic with floating dark sounds. Track 2 is more melodic, with a cool relaxed rhythm that sounds a bit like it is made in the 80's. Track 3 is pretty beautiful with a floating vibe. It reminds me of some old ambient from the beginning of the nineties. Track 4 has a rhythm you can dance to, but it is still relaxing. The melody sounds like some sounds floating in space. Track 5 is a pretty dark ambient track again. You get an almost scary mystic vibe with this track. Still an outer space feeling. Track 6 is more weird, with some metallic drums, almost like dub. Weird sounds and weird melodies. Pretty interesting. Track 7 is really beautiful. Floating ambient in a mystic way. Track 8 has a deep down tempo rhythm with nice relaxing sounds and a melody above. Track 9 reminds me of some old Warp releases by Autechre etc. Very nice easy listening with a relaxed piano melody and floating spacey sounds. The last track on this album is a really long one lasting for over fourteen minutes. The entire track is just floating of nice spacey sounds. Totally relaxed. 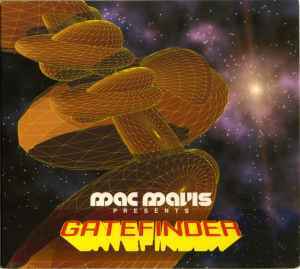 Mac Mavis earlier works have been compared with music by Tangerine Dream etc, and that is actually what this sounds like! So if you are into that kind of relaxed music, this might be worth checking out.